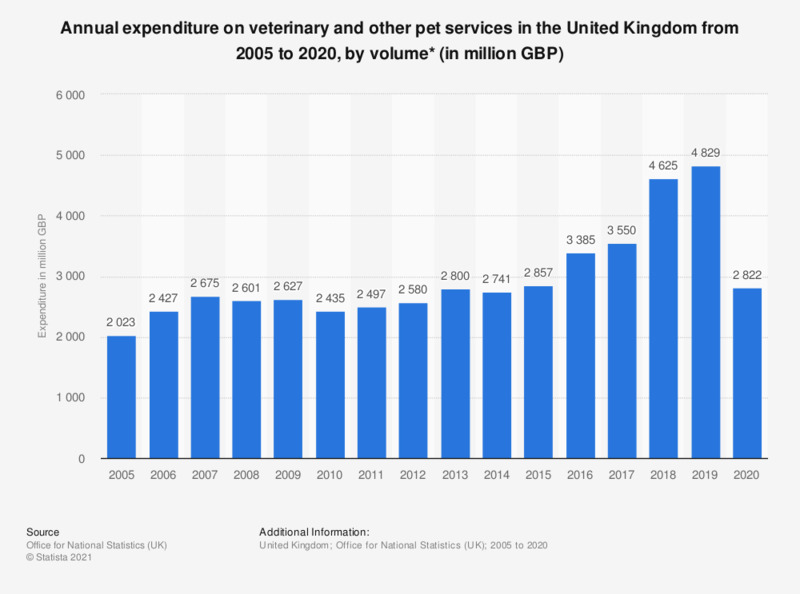 This statistic shows the total annual expenditure on veterinary and other services for pets in the United Kingdom from 2005 to 2018, based on volume. In 2018, households purchased over five billion British pounds worth of veterinary and other services for their pets. The base year for these estimates is 2012.